Q: Terry, what’s the story behind the title of your book? A: Last year in December, I was doing a presentation at a local mystery reader’s club. Many of the people showing up were wearing Christmas sweaters. At the time, I quipped, "What a great idea for a mystery." They all thought it was funny, so I filed the idea away. 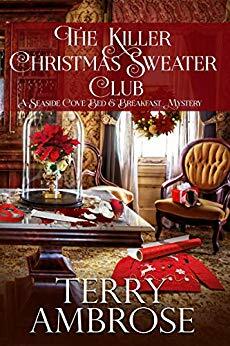 When it came time to launch the book, The Killer Christmas Sweater Club felt like the best suited title. Q: I love it! Tell us about your series. Is this book a standalone, or do readers need to read the series in order? A: The Seaside Cove Bed & Breakfast Mystery series is about Rick and Alexandra Atwood, a father and daughter who move from New York to the small town of Seaside Cove after Rick inherits the B&B from his grandfather. Seaside Cove is located on the California coast, which is littered with shipwrecks. In this series, the wreck that is drawing in strangers is the San Manuel, a fictional 400-year-old Spanish galleon with a very rich cargo just waiting to be plundered. The books do not need to be read in order, but there are character-development arcs that span from book-to-book. A: For now, home is North San Diego County. When I was a kid, we moved about every two years, so for me to stay in one place feels unusual. A: I grew up in Southern California at a time when the freeways were wide open, but the air was continually fouled by smog. There were days when we could, quite literally, watch the smog bank roll in. A: I’ve been through two major earthquakes—the first was the 1978 Goleta earthquake that shook Santa Barbara; the second was the 1989 Loma Prieta earthquake which hit the San Francisco Bay Area. In both cases, we were fortunate to not suffer any severe damage or injuries. A: I met my spouse while I was dating her roommate. It wasn’t until months after I’d broken up with her roommate that we crossed paths while I was skip tracing for the County of Santa Barbara. A: While driving down the freeway in Santa Barbara one day, I saw a license plate frame that read, “This is not a rehearsal.” That phrase really struck home for me. I even had my own license plate frame made up at one point. A: If I had my choice of locations, I would probably move to the island of Kauai. Even though it’s grown tremendously over the years, I still love it there. A: My plots begin with the characters. In this case, I had the idea for the use of Christmas sweaters as a clue but needed a way to integrate that into the plot. I also had a character in mind to be killed off. A: The victim was inspired by a real person. There’s a description in the book about him given by Marquetta, who says, “He’s a peculiar man, a slow man, the kind who will spend extra time at a traffic light when it turns green just to be sure no traffic is coming.” That description popped into my head after I’d spent an inordinate amount of time waiting in line at the business where he worked. A: The Seaside Cove Bed & Breakfast Mystery series is inspired to some degree by current-day events in the treasure hunting industry and by real shipwrecks, including the San Jose in Cartegena. I try to follow two rules when I provide backstory: 1) do it in increments, and 2) do it naturally. I just wish more writers would try a little harder to not make their backstory so obvious. Q: What’s the best compliment you’ve ever received about your work? Q: That is quite a compliment. What are you working on now? A: The next book I’m working on has the working title, Shadows from the Past, and is the third (and probably final) installment in the License to Lie thriller series. Once upon a time, in a life he’d rather forget, Terry Ambrose tracked down deadbeats for a living. He also hired big guys with tow trucks to steal cars—but only when negotiations failed. Those years of chasing deadbeats taught him many valuable life lessons such as—always keep your car in the garage. 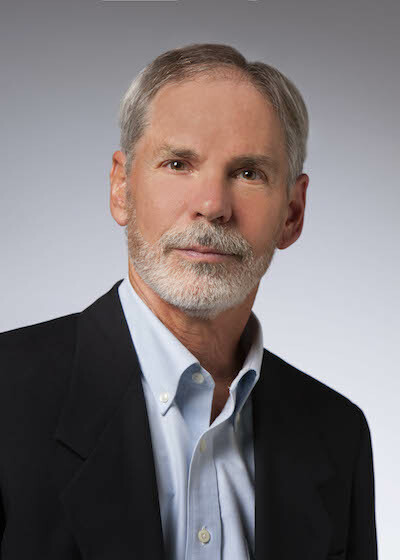 Terry has written more than a dozen books, several of which have been award finalists. In 2014, his thriller, Con Game, won the San Diego Book Awards for Best Action-Thriller. His series' include the Trouble in Paradise McKenna Mysteries, the Seaside Cove Bed & Breakfast Mysteries, and the License to Lie thriller series.